Andrew May is recognised as Australia's leading expert on performance and productivity. He runs a successful Performance Clinic in Sydney that specialises in executive coaching and workplace training. The Performance Clinic offers solutions for individuals and teams to achieve greater productivity and sustained peak performance. Andrew is a best-selling author of 4 previous books including Flip the Switch, Between Jobs, the Redundancy Survival Guide; and Switched On Health and Wellbeing Professionals Volumes 1 & 2. Flip the Switch has now sold more than 10,000 copies and is one of Australia's best-selling books in the performance and productivity space. Andrew has been performance coaching elite athletes and executives for more than 15 years. The success of his program's can be attributed to his understanding that achieving high performance requires an integrated approach to the way we think (psychology), the way we work (productivity), the way we eat and exercise (physiology) and the way we recharge (recovery). He is at the forefront of his industry, constantly breaking new ground and leading the way when it comes to the Science of High Performance. Andrew's programs are the only scientifically proven Performance Coaching programs measuring the psychological and physiological effects of stress and recovery for executives and corporate workers. 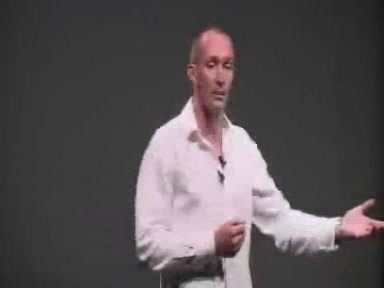 Andrew delivers keynote presentations around the world and is a columnist for a number of newspapers and magazines. He is a regular voice on radio and is a popular TV personality. Andrew May's philosophies on work life balance and individual performance were recently chronicled on the critically acclaimed SBS observational documentary, The Nest. Andrew has worked with the Australian Cricket team as their Physical Performance Manager, with the AFL Sydney Swans and many Olympic athletes. He co-founded Good Health Solutions, Australia's largest corporate health and well being company. With his background as an elite athlete, high performance coach and business builder, Andrew understands the key strategies that give you the power to achieve more in less time so you can be super productive at work, and build a rich and colourful life outside of work as well. Andrew's presentations and tailored conference programs deliver key strategies to give your team the power to really Switch On when they need to ... and Off when they can! The rapid speed and intensity of modern business demands a new way of approaching performance. Todays workplace is a highly competitive cauldron sharing many similar characteristics with the world of the high performance athlete. Intense effort, thriving under pressure, focused concentration and the ability to recover are fundamental to success. Being able to consistently perform at your peak requires a balance between intense effort and essential periods of rest and recovery. You cannot be 100% efficient if you are on 24/7. The Science of High Performance is drawn from the fields of performance psychology, sports coaching, exercise physiology and business management. Tap into your biologically determined Energy Personality and make every day productive and on purpose ? even when you?re feeling flat! Resilient people and resilient organisations have a competitive advantage. They adapt and thrive better than others in environments of non-stop change, have a greater sense of purpose and social conditioning and have the ability to bounce back quickly following times of stress or hardship. Resilience is not just for the lucky few who were born with it, resilience can be taught. People with high resilience bounce back from difficulties faster, tend to thrive under pressure, adapt better to constantly changing environments, have higher energy levels and are better adapted to managing stress. Understand the behaviours and traits that underpin both learned optimism and learned pessimism. Stress is now described as the great modern plague, with resulting anxiety, depression and ?burn out? growing at a rapid rate. Building in activities and habits where you consciously change gears, switch off and recharge are essential to clear thinking, effective team-work and managing day to day pressures. Elite Athletes spend more time, money and resources on this process of recovery than on training and now the corporate world is cottoning on to its power. Seven out of eight Australian employees report wanting to have a better work-life balance. As work hours increase and advancements in technology allow the invasion of work into our homes we are struggling to integrate our private and professional lives, to balance day-to-day work and family pressure, stay fit and healthy, maintain relationships and find time for our hobbies and passions. Our lives are filled but often we are unfulfilled. Get a life is about knowing what is important to you and finding the right use of your time for all of these areas of your life. The starting point for achieving a better integration of work and life is to understand who you are, what you want and most importantly, why you want it. We teach you strategies to organise your daily tasks, avoid distractions and get things done in less time so you can focus on what is really important at work and use the time you save to build the life you want outside of work. Use our proven system to start planning your ?Perfect Week? and achieve a lot more in the time you allocate towards work. We teach you strategies to balance your Capacity (daily energy levels) vs. Demands (requirements of your job and life) and how to have a positive balance between the two. This is then integrated into your ?Perfect Week? We teach strategies to help you utilise and recover energy throughout the day, month and year so you can be 100% on the and 100% off the job. In today?s time-poor society, more and more people are exasperating ?if only I had an extra day in the week!? What if I could give you an extra day a week? What would you do with it? If we can get crystal clear about the activities that will make the biggest difference to our productivity and then connect these with what is truly important ? we can get more done in less time, effectively creating ?8 days a week?. Then spend the extra day doing the things you love. Gather the time you save into a half-day of forced isolation, work uninterrupted and watch your productivity soar. Thanks for your great 'Switched On' keynote at our annual conference. It was our pleasure having you as part of our 'people' day and I thought your speech was fantastic! One of our international guests from London was so impressed with your presentation that he said he's going back this week to let them know what an innovative company we are down here and to speak to International HR about running something similar in UK - all very positive. I wanted to take a minute to thank you for all of the time and effort you have put into the AXA manager conference program over the last year. Combining the morning wake up activities, masseurs, and the online learning and intranet with your keynote presentations is a perfect way to blend content and practice. The Switched On reviews where you summarise all of our activities and provide us with downloads and photos of the entire experience is always very well received. We are looking forward to running this program with you again next year! Feed-back from delegates clearly shows your talk was not only well received, but a highlight of the event. Your experience and understanding of sustained performance and its impact on our businesses certainly gives us all plenty to think about in planning ahead. Andrew's energetic style always leaves the audience buzzing. We can always count on Andrew to partner with us and deliver a humorous, thought provoking and very practical presentation. He is a master speaker and the perfect choice to stimulate the audience with a fact filled health message. One of the best I've seen! From the very start your message was powerful and to the point. I was particularly impressed the way you researched the audience and continually linked the key messages back to our specific business and day to day pressures. Andrew recently partnered with Human Resources to develop a specific presentation that outlined the theory behind designing and managing Work Life Balance programs; as well as providing employees with powerful and realistic strategies they could immediately use. This provided a very strong platform for HR to then explain what we are doing on both a global and local initiative. I strongly recommend Andrew May as one of the best in the business I've come across. Andrew May has now presented to Ernst ' Young employees throughout Australia in Sydney, Melbourne, Brisbane, Adelaide, Canberra and Perth. His high energy, enthusiasm, subject knowledge and capacity to relate to large numbers of people both professional and non-professional is the reason we contract him again and again. Andrew has an engaging and sense of humour which allows him to draw in and interest his audience. We also belive Andrew is now very aware of our culture and our objectives and he is able to deliver addresses to large or small audiences within an appropriate contextual framework. We have been very satisfied with Andrew's contribution to our health and well-being program and look forward to a long and successful working relationship with him. Andrew, it was indeed a pleasure to have you work with us again, at one of our national brand conferences in Adelaide during November. The Workshops presented by you were met with an extraordinarily positive response with many delegates expressing a desire to have you return for more at our next event.